Getting married? Need some fine china, everyday dishes, glassware, towels, picture frames, candles or maybe even some jewelry for yourself? 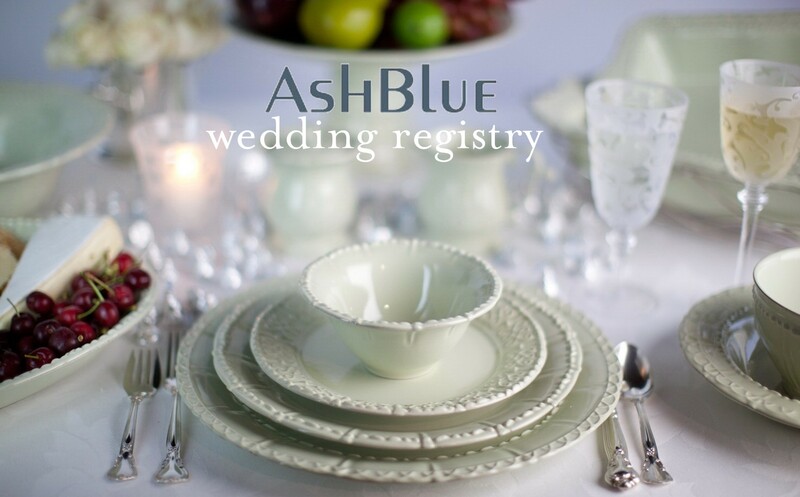 AshBlue is one of Nashville's top boutiques to register with for your special day. Our trained bridal consultants will help you decide what to get, show you all of your options and cater to your needs. Registering can be a stressful experience, and we will make sure everything flows with ease. We do take walk-ins but prefer an appointment. To make your appointment, visit our store or give us a call at 615-383-4882. We look forward to meeting you and your beloved finance'!